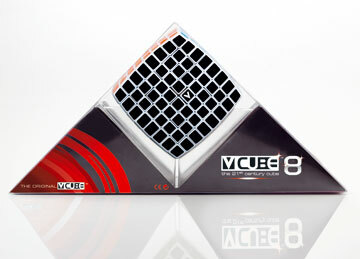 V-Cube 8 is an uniquely designed and constructed skill game. It is a multi-colored, eight-layered cube, rotating smoothly on based axes. It holds the record of being the largest, smoothest and most complex rotating puzzle game in the world! 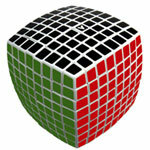 V-Cube 8 has 3.52*10211 possible permutations. It consists of 324 smaller pieces, called cubies and the solid cross that supports them, enabling them to rotate independently on based axes.